Rabbi Abraham Joshua Heschel said prophetically in the last years of Martin Luther King’s life that “the whole future of America depends on the impact and influence of Dr. King.” This was at a time when King was speaking out forcefully not only against racism, but against the Vietnam war and organizing for a massive poor peoples’ march on Washington, D.C. for the summer of 1968. King’s broadening vision was linking the civil rights movement with the growing anti-war movement into a movement for peace and economic justice. He wanted to create a moral and political crisis on these issues which the country could no longer ignore and he was preparing to shut down the nation’s capitol, if necessary, through non-violent civil disobedience. King was assassinated on April 4, 1968. He never made it back to D.C. to fulfill his dream. Cornel West has written a piece for the Aug. 26, 2011 NY Times entitled “Dr. King Weeps From His Grave.” (http://lists.readersupportednews.org/ss/link.php?M=65595&N=726&C=1c9f2589544923f06aca46ed458ebf8c&L=980) West says: “The age of Obama has fallen tragically short of fulfilling King’s prophetic legacy. Instead of articulating a radical democratic vision and fighting for homeowners, workers and poor people in the form of mortgage relief, jobs and investment in education, infrastructure and housing, the administration gave us bailouts for banks, record profits for Wall Street and giant budget cuts on the backs of the vulnerable.” And I would add war, and more war, on behalf of the military/industrial complex, oil companies, and the financial titans of empire. West concludes by saying “In concrete terms, this means support for progressive politicians…; extensive community and media organizing; civil disobedience; and life and death confrontations with the powers that be. Like King, we need to put on our cemetery clothes and be coffin-ready…” I say Amen to that. The struggles for justice, peace, and the earth are one. Have No Fear! Be Coffin-Ready! Libya is the latest example of a war for oil and regime change disguised as a charitable benefit –saving civilian lives. Many people swallowed it hook, line and sinker, and the oil companies, big banks and the arms merchants couldn’t be happier. The danger of the ever expanding military/industrial complex that former President and General Dwight David Eisenhower warned about 50 years ago is now a full grown rogue elephant trampling all in its path. Let’s be clear. In the war in Libya, the U.S. provided NATO with funds, war planes, drones, bombs and intelligence, spending billions to expand wars abroad instead of creating jobs at home. The U.S. and NATO acted in violation of the UN resolutions by bombing civilians to save them, avoided any efforts at a negotiated settlement, and illegally pursued regime change from the get go. In short, the U.S. and NATO chose sides in a civil war and became the rebel air force. Obama began the war without seeking congressional authorization as required by the U.S. Constitution. The war in Libya moved the world from the rule of law to the rule of force by international thugs acting on behalf of economic vested interests. There is no indication that Barrack Obama is bucking the Generals and the CIA. But fifty years ago John F. Kennedy was turning from a cold warrior to a peace President. Kennedy bucked the CIA, the Generals, and the arms industry over policies dealing with Cuba, the Soviet Union, disarmament, and withdrawal of troops from Vietnam. Today, the tragic truth is the U.S. has become the Global RoboCop Assassination “Special Ops” team run by the CIA and the Generals on behalf of Big oil, the banks, and armament industries. If anyone seriously gets in their way, they will get the same treatment as Saddam Husein, Osama Bin Laden, Rev. Martin Luther King, and John F. Kennedy. SAVE THE PLANET! DISMANTLE THE EMPIRE! 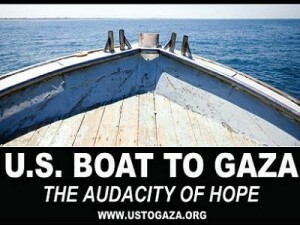 The 2011 Gaza Freedom Flotilla’s US boat “The Audacity of Hope” attempted to carry support letters to the people of Gaza. It, along with other international humanitarian boats, were blocked by military commandos from leaving Greece. Ann Wright and Carol Murry (both Hawaii residents) were aboard the Audacity of Hope Boat. Ann has just returned from Korea’s Jeju Island where citizens are working hard to prevent their designated “Island of Peace,” called “Korea’s Hawaii,” from being used for a proposed Naval base. Come hear Ann and Carol, and talk together about these issues. Let us inspire and activate one another to stand up for justice, peace, and the earth. Ann is a retired Army Colonel and State Department diplomat. Carol has a doctorate in Public Health and was on the faculty of the University of Hawaii. Ann Wright holds a Master’s and a law degree from the University of Arkansas and a master’s degree in national security affairs from the U.S. Naval War College. She spent 13 years in the U.S. Army and 16 additional years in the Army Reserves, retiring as a Colonel. Since then, she has been writing and speaking out for peace. She fasted for a month, picketed at Guantánamo, served as a juror in impeachment hearings, and has been arrested numerous times for peaceful, nonviolent protest. She is an activist for peace and human rights who participated in the Gaza Freedom March and the the Gaza aid Flotillas of 2010 and 2011. Carol Murry lived and worked in rural Thailand and Swaziland; started a community health worker program on Micronesian outer islands; did leprosy research in eastern Bhutan; directed non-profit organizations with a focus on leprosy, HIV/AIDS, and community health; was University of Hawai’i faculty; and recently researched and authored publications on risk and vulnerability to HIV/AIDS among Pacific Island youth for UNICEF. She has a doctorate in public health and masters in epidemiology from the University of Hawai’i, but considers her true education in health was as a Peace Corps Volunteer in a Bengali village hospital with no electricity, running water, or bathrooms. During the time the Israelis were building the wall separating Gaza farmers from their orchards and dividing families, an Israeli friend, who volunteered at Malu ‘Aina, made the plight of the Gaza people so vivid that she could not look away. The parallels with the apartheid system in South Africa during the time she was in Swaziland were inescapable. A presentation by Ann Wright on her return from the first Freedom Flotilla inspired Carol’s application to join the 2011 Freedom Flotilla. She was honored to stand up with Ann Wright and the other passengers and leaders of the US Boat to Gaza in the determination that freedom, justice and peace must come to Gaza and the refusal to sit down until it does. Carol’s home is in Honolulu. Peace organizing meetings are held on the 2nd and 4th Mondays of the month. Reminder: There will be a peace organizing meeting on Monday evening, Aug. 22nd from 7-9PM at the Keaau Community Center behind the Keaau Family Clinic. 2. upcoming 10th anniversary of 9/11 and 10 years of war — our 520th week of Hilo peace vigils. 3. Fukushima, Mauna Kea contested case, NRC update actions over Depleted Uranium at Pohakuloa, etc. 4. State of the economy and budget cut effects on the wars, military expansion plans, etc. 5. Plans for major protests in Washington, DC Oct. 6th and beyond over the wars and the economy. Solidarity actions here? Come bring new ideas for education and action. This week has seen news of the contested case hearing in Hilo over the construction of a Thirty Meter Telescope (TMT) atop Mauna Kea. Below is a slightly revised version of testimony by Jim Albertini against the TMT originally made in Feb. 2011. As we all know, Mauna Kea is sacred. It is a revered temple by the Kanaka Maoli, the native people of this place, and native people around the Pacific. It is a fragile environment, designated conservation district, that already has suffered from extensive industrial development. We give lip service to these facts but then we go forward with more industrial development on Mauna Kea. Today, we have the lure of TMT — bigger-is-better, more jobs, world class astronomy status, major PR efforts, and community pay offs by the vested economic and scientific community. But all of this has not stopped the growing tension of science vs the sacred, industrial development vs environmental preservation. It is time for Hawaii and our world to affirm the sacred over economic vested interests, environmental preservation over further industrial development. It is time to restore our balance with Ke Akua and nature, to become pono. We have become so far out of balance that it is difficult for us to see clearly, to see ourselves as we truly are. In many ways, we have become military/industrial drunks, believing that one more military/ industrial drink won’t hurt us. In fact, many believe it is good for us. One more for the road. One more for jobs, one more for “full spectrum dominance” and world class astronomy. One more industrial drink on the road to global military/industrial destruction is not the answer. More industrial development is not the solution to the problems of industrial development. To find our staggering, drunken, way home to what is pono, is not an easy task. But one thing is clear: the means we use must be in line with the end that we seek. The means and ends must cohere. Industry can no longer dominate the temple and the fragile environment. Those days are over, long gone. Non-violence is a sacred principle we better relearn quickly if we are going to survive as a species. The meaning of non-violence is clear for those who have eyes to see our present situation. 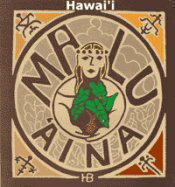 No more military/industrial drinking on Mauna Kea! It is time for clear vision and clear speaking, followed by clear action. The first step in the 12 step program of recovery for an alcoholic is to admit to addiction and then seek help from Ke Akua and others to restore what is pono. The same applies to military/industrial drunks. Honor and protect Mauna Kea. No TMT on Mauna Kea. Send the Military/Industrial Drunks to 12 Step Rehab!